This may be the perfect time and the perfect place to bring your plans and boat to a fabulous lot on a sought after Bayou. Cessna Landing is a gated neighborhood, and you have choices on more than a third of an acre of where to situate your new home. Usually, someone builds a house, then the dock, then acquires a boat. It's in reverse here. Bring your boat tomorrow. 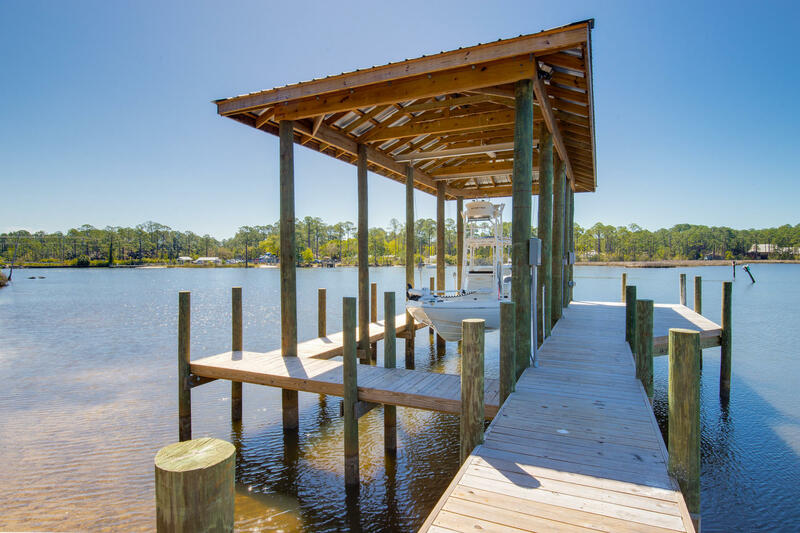 Enjoy the dock, sunsets and water while you build a waterfront residence. The beach is less than four miles down the road, and this special retreat will bring years of boating enjoyment. Most folks looking to build on waterfront must factor in $60k for a covered boat slip and powered boat lift. This waterfront parcel has all that in place - new, sturdy, functional and very attractive.